THE SCENE: The gloominess of the Berm was in full force this morning. The temp was a toasty 77 degrees and the humidity was a nasty 92%. We decided as we were sweating, the Earth was sweating as well. F3 WELCOME & DISLCAIMER: The PAX was welcomed to the Berm and the disclaimer was read aloud, as the VQ had no idea how things would turn out. “One More Round” in honor of Rocky…and America. Dr. Scholl’s VQ. FNG was donned the name “Christmas Tree” and was a rockstar today. We, as a whole, are anxious people. We worry about so much that we walk around completely overwhelmed and fearful. We fear lack of control, even through we don’t do well with control when we have it. We, as men who are God’s children, can find strength, peace, and freedom in not having control. God has control. Praise Him for that! As it was my VQ, I honestly had no idea what to expect. I didn’t know if the PAX would find it difficult or easy, fast or slow, organized or not. An awesome group was present for the worst the Berm had to offer. 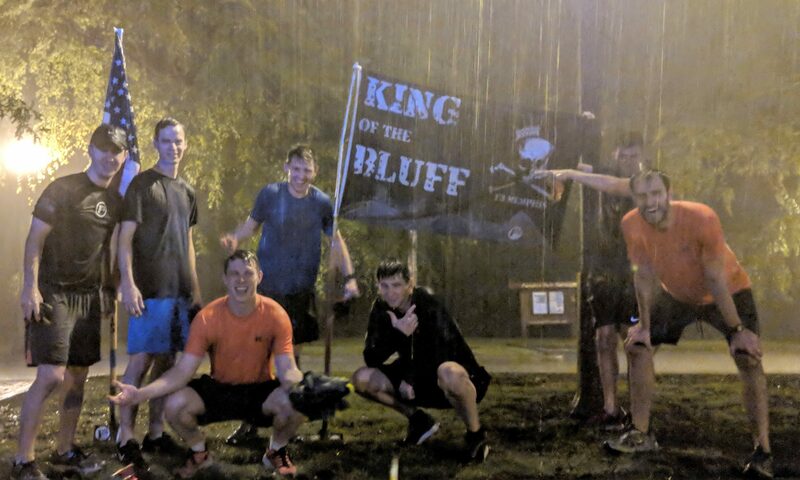 We had some Berm regulars, some guys from Old Forest, a couple of rambling men, and a FNG. The workout started and I feel confident we were all humming “Eye of the Tiger” in our heads. It was a workout that began kindly, and ended with a rock-hard body blow that even Rocky couldn’t deny. By the end, I was far too delirious to hum any song at all. It felt terrible, but it felt great as well. It was, to me, what F3 is all about. We stayed together, pushed each other, and had fun. We did hard stuff before most people were awake. We couldn’t have completed it without each other. Next PostNext World Cup of Wrath!